And I'm Faith Lapidus with EXPLORATIONS in VOA Special English. Today we tell about some men and women who are members of the National Aviation Hall of Fame. They have been honored for what they did for flying. The National Aviation Hall of Fame is in Dayton, Ohio. It opened in nineteen sixty-two. Since that time, the Hall of Fame has honored one hundred ninety-five men and women for their work in aviation. Five new members were honored this year. They are Walter Boyne, Evelyn Bryan Johnson, Sally Ride, Frederick Smith and Steve Fossett. Walter Boyne is a retired Air Force pilot. He is a former director of the Smithsonian Institution's Air and Space Museum in Washington, D.C. He has written more than five hundred reports and more than thirty books about aviation. Evelyn Bryan Johnson is a flight teacher. She has completed more hours in flight and trained more pilots than any other woman in the world. Sally Ride became America's first female astronaut as a flight engineer on the Space Shuttle Challenger in nineteen eighty-three. 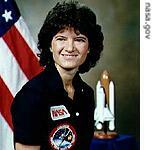 She also flew on Challenger the following year. She is also an activist for improving science education for young girls. Frederick Smith is a former Marine Corps pilot. In nineteen seventy-one, he started the Federal Express Corporation. The company soon began using airplanes to fly letters and packages to twenty-five cities. Today, FedEx serves more than two hundred countries and territories around the world. 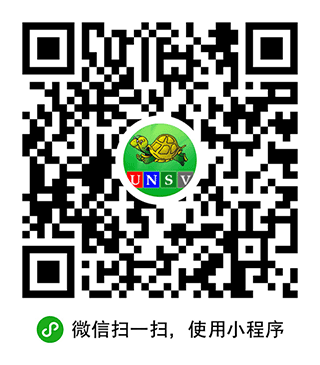 The company has more than two hundred eighty thousand employees. Steve Fossett was one of the world's greatest adventurers. He held more than one hundred aviation records. He held several world records for his flights in balloons, gliders and powered aircraft. In two thousand two, he became the first person to travel around the world alone in a hot-air balloon. Three years later, he became the first person to fly around the world alone in an airplane, without stopping or refueling. Last year, he made the longest nonstop flight in aviation history in a lightweight experimental airplane. But on September third, Fossett disappeared while flying a small plane on what was supposed to be a short flight in the state of Nevada. Rescue teams on the ground and in the air searched for the missing pilot in the deserts and mountains of Nevada for several weeks. They were not able to find the pilot or his plane. They suspended the official search on October third. 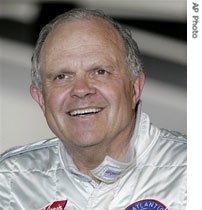 Steve Fossett was sixty-three years old. Throughout the years, the National Aviation Hall of Fame has honored famous heroes of aviation. The first two people chosen as members were Orville and Wilbur Wright. They lived and worked in Dayton, Ohio. The Wright Brothers were the first humans to make and fly a powered aircraft. Their story is well known. Another early member of the Aviation Hall of Fame is Charles Lindbergh. His record-setting flight across the Atlantic Ocean began on May twentieth, nineteen twenty-seven. Neil Armstrong is another member of the Aviation Hall of Fame. He was the first human to walk on the moon. The story of the Apollo Eleven landing on the moon is also well known. However, other members of the Aviation Hall of Fame are not as famous. We will tell you about some of these people. Have you ever heard the name Edwin Link? Probably not. Yet many pilots know him. Mister Link was a pioneer in flight training. He invented a machine that helped teach new pilots to fly. 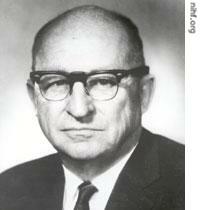 Edwin Link became a member of the Aviation Hall of Fame in nineteen seventy-six. The device he invented is called the Link Trainer. Link Trainers did not really fly. But they were designed to copy flight. New pilots could use flight controls and instruments as if they were inside a real plane. A new pilot learned how to fly in the air by flying a Link Trainer that never left the ground. The Link Company improved their trainers over time. More experienced pilots used them to learn to fly using only flight instruments to find their way. Edwin Link made it possible for many pilots to learn difficult skills in complete safety. Just south of the city of San Diego, California is a small hill that looks toward the Pacific Ocean. A huge airplane wing rises out of the ground there. It is a monument to John Montgomery, another member of the Aviation Hall of Fame. Not many people remember John Montgomery now. Yet many aviation experts believe he was the father of basic flying. He flew in gliders -- aircraft that have no power. John Montgomery built gliders for more than twenty years. He died in a glider accident in nineteen eleven. Mister Montgomery made most of his flights before anyone understood how to control an aircraft in flight. Mister Montgomery's study of flight and his attempts at flying led the way for the many others who followed. He became a member of the Aviation Hall of Fame in nineteen seventy-three. Giuseppe Bellanca is another name you probably do not know. He became a member of the Hall of Fame in nineteen ninety-three. He came to the United States from Sicily in nineteen eleven. Mister Bellanca designed and built airplanes for the Wright Aircraft Company in the eastern state of New Jersey. Charles Lindbergh decided to fly across the Atlantic Ocean in nineteen twenty-seven. He wanted to use a Wright-Bellanca aircraft. Mister Lindbergh met with Giuseppe Bellanca. Mister Bellanca said his airplane could make the flight. He was very excited about Lindbergh's plan. The Wright Company, however, did not approve of him using one of the company's planes. Company officials thought Mister Lindbergh might fail. Charles Lindbergh had to find a different airplane to make his famous flight. Later, a Wright-Bellanca airplane was the first to fly the Atlantic Ocean in both directions. And, in nineteen thirty-one, Giuseppe Bellanca designed and built an airplane that became the first to fly across the Pacific Ocean without stopping. It was called the Miss Veedol. It flew from Samishiro Beach, Japan, to the town of Wenatchee in the western state of Washington. Clyde Pangborn was the pilot of Miss Veedol. He is remembered more in Japan than he is in the United States. He became a member of the Aviation Hall of Fame in nineteen ninety-five. Only a few aviation experts can tell you about Charles E. Taylor. His friends called him "Charlie." He became a member of the Aviation Hall of Fame in nineteen sixty-five. On December seventeenth, nineteen-oh-three, Orville Wright became the first human to fly in a powered aircraft. Orville and his brother Wilber designed and built the aircraft. Charlie Taylor built the small gasoline engine they used. The three men designed the engine. They drew pictures on pieces of paper. Then Charlie Taylor built the needed part. He made the complete engine in only six weeks using almost no equipment. Today, you can see the Wright airplane when you visit the Smithsonian's Air and Space Museum in Washington, D.C. Just to the left of the controls is Charlie Taylor's very important engine. Many of the men and women in the Aviation Hall of Fame designed, built and flew different kinds of airplanes. Some are honored for their service to the United States in time of war. Some are honored for the famous aircraft they designed. Others for the aviation companies they started. Members of the Aviation Hall of Fame helped make flying safe for the public. Some were killed in their efforts to improve aviation. And some of those honored have led the way to the exploration of space. This program was written by Paul Thompson. It was produced by Mario Ritter. I'm Faith Lapidus. And I'm Steve Ember. 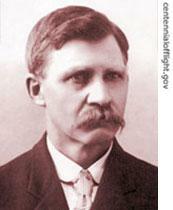 You can learn about other American heroes on our Web site, www.unsv.com. Join us again next week for EXPLORATIONS in VOA Special English.